There is a shell-like mineral density within the peritoneal fat. No, you should not call it a Bates body. Why? Because it is bad practice. If I said the cat had Teague's disease or Morrison syndrome it would provide just as much useful information to someone reading my report… none. MD's love to name things after themselves and immortalize themselves in the medical literature. Veterinarians are scientists! This is nodular fat necrosis. It is not clinically significant. 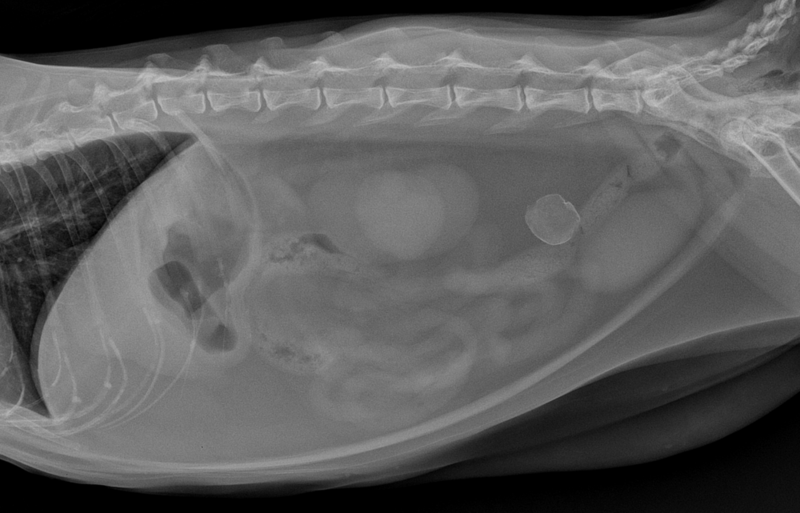 The radiographs are otherwise normal. 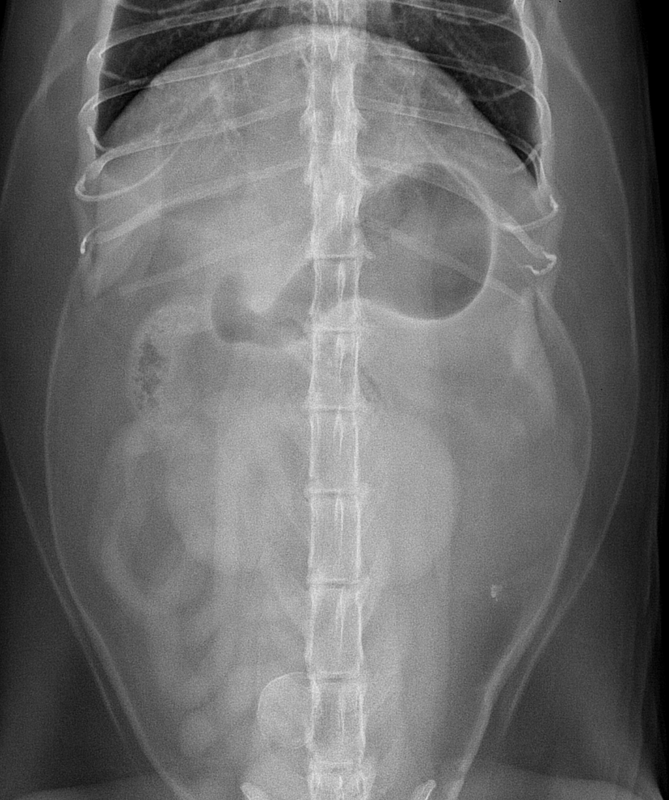 The ultrasound of this cat was also normal, but his fPL test was abnormal and a presumptive diagnosis of pancreatitis (or is that Morrison syndrome?) was made. The patient recovered uneventfully.